Saikrishna Rajagopal has worked extensively on an array of Civil and Criminal Intellectual Property litigation in India for distinguished foreign and domestic clients. 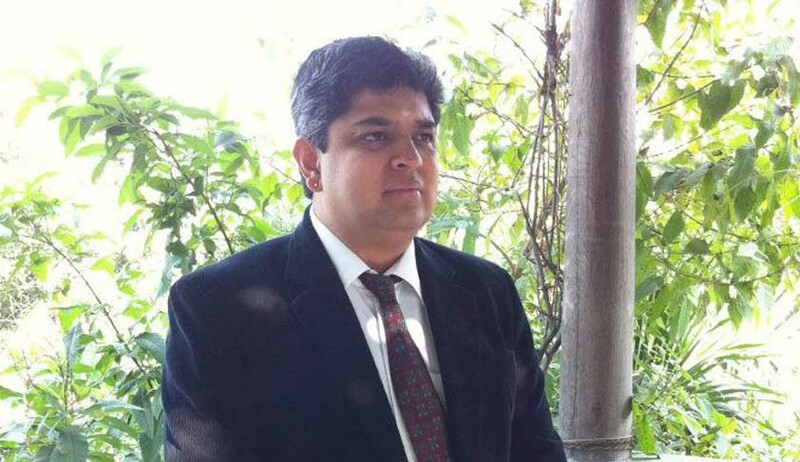 Over the last few years, he has been associated with some of the leading Intellectual Property cases in India. His litigation expertise aside, Saikrishna is also a renowned expert in the field of software anti-piracy initiatives. He routinely advises various International and Indian clients on complex IP issues ranging from fair dealing issues across telecom platforms and in the FM Radio Sector. has been ranked as a sole “Star Individual” ranked professional for IP Litigation by the Chambers & Partners – Asia Rankings – 2013. Live Law: You were one of the counsels in a landmark judgment in 2012, wherein a Division Bench of the Delhi High Court held that Indian trademark law follows an “international exhaustion” regime. This judgment was predicted to have far reaching consequences on the pricing of goods available in the market. Please shed some light on the principle of international exhaustion under the Trademarks Act. Samsung Case held that the term ‘geographical region”, based on the Hon’ble court’s estimation of the legislative intent underlying the Trademarks Act, 1999, meant a sale in the International context and not a limitation to within the borders of India. Consequently, as a result of the Judgment, articles bearing a registered trademark affixed on authority or license of a registered proprietor, sold outside India can be freely imported into India without requirement of a further authority or license of the registered proprietor of the trade mark in question. Live Law: Does the Indian IT Industry lay enough emphasis on having a full-fledged "IP Strategy" in place as compared to the India Pharmaceutical Industry? Saikrishna: While I understand that a degree of “IP-awareness” subsists in the Indian IT Industry, I would not compare this awareness to say that of the Pharmaceutical sector. I would say that compared to Indian IT companies, International IT companies lay more emphasis on strategizing their IP portfolios. It is trite to say that there has to be some form of IP strategizing to ensure that the IP is monetized to its fullest capacity. In the context of the pharmaceutical industry it becomes important to implement an effective IP strategy via Patenting, licensing etc., in order to recoup the investment required in R&D. Similarly with the realization of the immense monetization capabilities that the IP represents to the company, as also with the increase in the number of IT firms in India engaged in introducing innovative products, the implementation of an effective IP strategy has become imperative even in the IT industry in India. Another reason for the IT industry in India becoming more aware is the gradual shift over the last decade from a “services only” sector to a “products & services sector”. This will in my view create adequate basis for Indian IT companies to put in place IP strategies given the value proposition present by IP in the information technology environment. Live Law: A valuable and often neglected aspect of managing the Intellectual Property (IP) portfolio is devising and implementing strategies to extend the "life-cycle" of the products. What are the critical factors to be considered while developing strategies for monetizing/commercialising Intellectual Property? Saikrishna: I would think the first thing that an IP owner needs to do is to understand that Intellectual Property is really an asset. Given this understanding owners will then see the logic in creating a monetization strategy around this asset class also. In seeking to develop a strategy to commercialise / monestise IP, an IP owner then needs to understand what different species of IP are held by the company which will allow the owner to prioritise IP protection around each type of IP. Prioritizing protection should be seen in light of business challenges faced by the company and where IP assets could or should be contributing to enhance value. The first aspect of an IP monetization strategy thus will be preceded by what I refer to as a “self-serving question” namely - what IP assets exist or need to exist which will help the company’s core businesses grow? Answering this question efficiently and truthfully will help the company concentrate on creating and sustaining valuable IP and cutting down on say, wasteful R&D (better invested in R&D relevant to the company’s short term and long term growth). The second question in creating a viable strategy will be - how should IP assets be created efficiently? As also the logical follow up question – how should relevant IP assets be protected efficiently? The protection of IP assets serves or can serve to achieve two goals at the same time (1) to ensure full protection so that the IP assets of the company contribute to the extent possible to the company’s fortune; (2) as a tool to address infringements by competitors and other violators of the company’s IP assets, both equally being potential monetization sources for the company. Live Law: Over the last two decades, "Traditional Knowledge" has been discussed and written about a great deal. Please tell our readers how has Traditional Knowledge harmonized with IP? Saikrishna: As the body of applied knowledge belonging to indigenous communities, “Traditional Knowledge” has proven to be amenable to incorporation within IP and simultaneously exposed the difficulty inherent in such incorporation. Since the aim of all IP law is to protect and promote novelty in invention, originality of expression, proponents of Traditional Knowledge and those arguing on their behalf have contended that Traditional Knowledge deserves to be protected under the existing IP regime for its novelty, usefulness, originality, under the appropriate branch of IP. As a system of knowledge, largely unorganized, Traditional Knowledge may manifest itself as symbols developed by a particular indigenous community, or medicinal applications developed and tested through generations, or designs/ art work of indigenous communities, or even sometimes forms of identification implemented by traditional communities. Therefore, there have been over the last few years vociferous arguments in favour of securing protection for Traditional Knowledge under the prevalent IP laws, particularly against misappropriation of Traditional Knowledge by other persons or business entities for commercial gain without sharing the revenues from such commercialization with the holders of Traditional Knowledge, and there has been success in this regard to a certain extent. Just to cite an instance, the application for patenting turmeric for its medicinal applications at the USPTO was successfully opposed based on the proven use of the same by certain indigenous communities in India for generations. Having said that, incorporation of Traditional Knowledge within the existing IP regime gives rise to several difficulties. For instance, who would be the author of the work as under copyright law, or the owner of the trademark emanating from the Traditional Knowledge, or the holder of the patent; would such Traditional Knowledge be treated as any other form of IP ownership and would the rules applicable to the particular branch of IP law such as copyright, patents, trademarks, apply to such Traditional Knowledge as well; can other organizations or individuals be allowed to build upon such Traditional Knowledge by sharing the revenues from commercialization with the holders of the Traditional Knowledge, or should they be preempted altogether from building further on Traditional Knowledge; again how does one identify the holders of the particular Traditional Knowledge. Live Law: You have been a part of a high-profile copyright infringement claim before the Delhi High Court, which decision will have a significant impact on the Indian music composers across the board. Generally speaking, how successful have Indian courts been in enforcing an artist’s ‘moral rights’ or ‘special rights’ under Section 57 of the Copyright Act, 1957? Saikrishna: Generally speaking, Indian courts have adopted a liberal construction of the moral rights that an author is entitled to under the Indian Copyright Act. Whether it was the Mannu Bhandari case, the litigation initiated by Phoolan Devi against Shekhar Kapur, or the Amar Nath Sehgal case, courts have upheld the inalienable right of the author to protect his/ her work from distortion, mutilation, impairment, or to assert his/her paternity rights in the work. Courts have reiterated that moral rights are an adjunct to the other rights conferred on an author of a work, and cannot be held to have been assigned along with the other rights in an assignment of the copyright in the work. Prior to these definitive decisions of the Indian courts, a lot of transferees of copyright believed that once they became the transferees in the copyright in the work by virtue of the transfer, the author’s moral rights were abrogated in their favour. They believed that this consequently gave them the leeway to treat the work as they deemed fit for the duration of the copyright, and in a manner that was dictated by the purpose of usage of the work. However, these decisions of the Indian courts have reinforced that the author’s moral rights are not included as a part of the copyright in the work that is transferred to the transferee, and that such right continues to vest in the author of a work irrespective and independently of the transfer. Therefore, if a work is being used in a manner by a transferee which is contrary to the principles on which the author has constructed the work, or demeans the work, or is deleterious to the work itself, then the author can seek to prohibit such manner of usage. Similar to the moral rights of an author of a work, a performer too is entitled to moral rights in the performance rendered by him/her and he/she can seek to prevent any distortion of the performance, and such right exists independently of the transfer of the copyright in such performance. Live Law: Today your firm is known as a powerhouse for trade mark enforcement and litigation. How would you describe this journey? Saikrishna: From founding the firm over 12 years ago in what I often refer to as a “moment of madness”, I am proud to say that the firm has come a very long way! I can honestly say that all of our hard earned victories have been on the back of humility in light of the awareness that all of us will continue to learn something new each day even from the most unlikely of sources and I have to say proudly based on sheer hard work by the entire team at the Firm. We started primarily as a litigation & enforcement firm and over the past decade have translated to a firm with established practices across prosecution, litigation, transactions and policy reform and development. While we have remained on the of the strongest litigations practices we are also now one of the few IP firms with an established and very competent transactional practice servicing client IP needs on commercial transactions often in tandem with full service firms. We have since the past few years also included practice areas such as Competition Law as well as sector specific practice areas such as Software & IT, Broadcasting, Music, Film, Print Publishing etc. Essentially, what has facilitated this process is the fact that to us no matter is either big or small, all our matters are treated with an equal amount of passion. I believe that this has contributed immensely to our growth as a firm, and also to building client confidence in the firm!